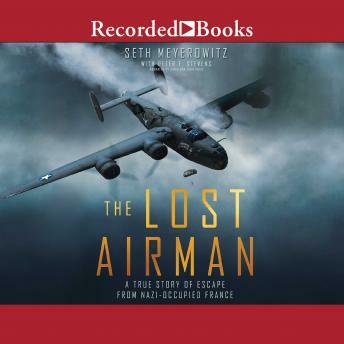 For fans of Unbroken, the remarkable, untold story of World War II American Air Force turret-gunner Staff Sergeant Arthur Meyerowitz, who was shot down over Nazi-occupied France and evaded Gestapo pursuers for more than six months before escaping to freedom. Bronx-born top turret-gunner Arthur Meyerowitz was on his second mission when he was shot down in 1943. He was one of only two men on the B-24 Liberator known as "Harmful Lil Armful" who escaped death or immediate capture on the ground. After fleeing the wreck, Arthur knocked on the door of an isolated farmhouse, whose owners hastily took him in. Fortunately, his hosts not only despised the Nazis but had a tight connection to the French resistance group Morhange and its founder, Marcel Taillandier. Arthur and Taillandier formed an improbable bond as the resistance leader arranged for Arthur's transfers among safe houses in southern France, shielding him from the Gestapo. Based on recently declassified material, exclusive personal interviews, and extensive research into the French Resistance, The Lost Airman tells the tense and riveting story of Arthur's trying months in Toulouse-masquerading as a deaf mute and working with a downed British pilot to evade the Nazis-and of his hair-raising journey to freedom involving a perilous trek over the Pyrenees and a voyage aboard a fishing boat with U-boats lurking below and Luftwaffe fighters looming above. With photographs and maps included, this is a never-before-told true story of endurance, perseverance, and escape during World War II.